Come One, Come All! To The Greatest Mixer On Earth! Looking for some intelligent nightlife? Mix up your social scene at Mixers & Elixirs! Pop on over to our place on Friday, July 21st to mingle, clink your cocktail glass and break out your best dance moves. Doors open at 7 p.m. for the live band, dancing, cash bars and the city’s best food trucks. The perfect party, where the science club meets the social set happens every month this this summer! DJ Dame Hype will be spinning in the Morian Hall of Paleontology and the dance floor will be on fire with live music by Austin’s own Electric Circus. Mixers & Elixirs is for adults 21 and over. Tickets are $25 for general public and $15 for HMNS Members. Get your advance tickets here. 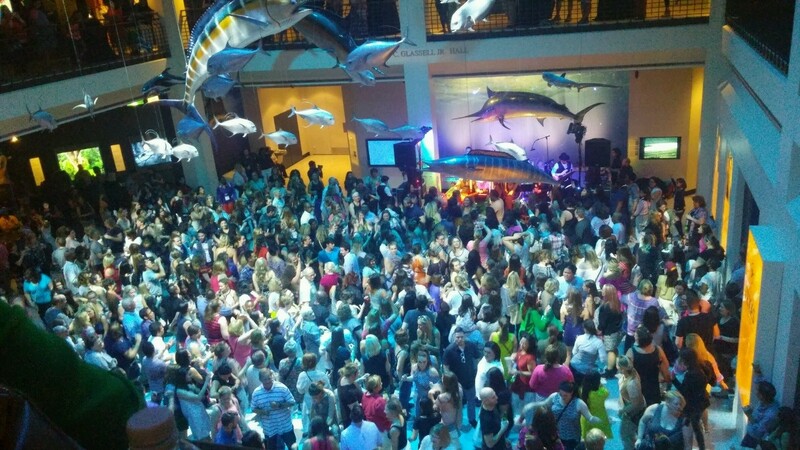 HMNS Catalysts Members receive FREE admission, the first drink on us and a Catalyst cookie! Become an HMNS Catalyst today to get this benefit and so much more! Previous Post Here's A Science-y Summer Activity To Keep The Kid's Brains Busy From Our Art Smart Camp!